In her first election rally at Chhattisgarh, Bahujan Samaj Party supremo Mayawati launched a blistering attack on the BJP. 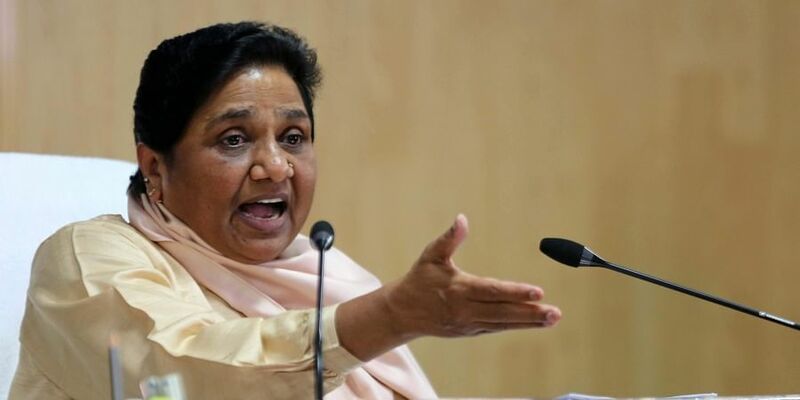 RAIPUR: In her first election rally at Chhattisgarh, Bahujan Samaj Party supremo Mayawati launched a blistering attack on the BJP, saying the governments in the Centre and the state have deceived the masses by not keeping its promises. Addressing the joint public meet with former chief minister Ajit Jogi at Bilaspur, Mayawati targeted the NDA government for the difficulties and distress of people, farmers, Dalits, tribals, minorities, small traders, unemployed and backward communities and poor arising out of “poor governance” and “faulty moves taken in haste on demonetisation and GST”. Under the seat sharing arrangement with Jogi's Janta Congress Chhattisgarh-J, the BSP will contest in 35 of the 90 Assembly seats in the state. “When every section of the society gets an opportunity to live a life of self-esteem, only then the Maoist activities will be curbed to a large extent. And, those who out of compulsion joined the Maoists will return to the correct path,” she said. On his part, Jogi told the crowds that only regional parties can put a check on the BJP. “The BJP has gained ground in those states where they fought against the Congress. But the strong regional parties remain unaffected. In Chhattisgarh, the alliance led by JCC (J) will be successful,” he claimed. Both the JCC(J) and the BSP are fighting for greater political space in Chhattisgarh. Formed in 2016, the JCC(J) is yet to face the electoral tests while the BSP's performance too has not improved in the previous three state elections. Political observers still do not see much possibility of a triangular contest in more than one-third of the total Assembly seats.